RCC and Fire District 3 officials throw dirt during the groundbreaking for the new joint Educational Center in White City. 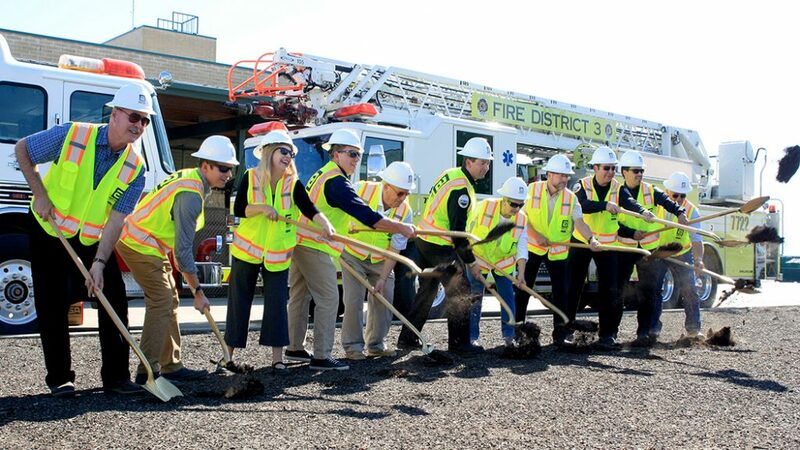 Rogue Community College and Jackson County Fire District 3 broke ground Aug. 27, 2018 on construction of a 2,700-square-foot Educational Center in White City. The $1 million project is slated to be completed in January. The project represents a partnership between the two entities, which have a long history of successful partnerships. “We are proud to have such a great partnership with RCC, and this building is just another example of how collaboration amongst entities is not only a win for workforce education but a win for the community as a whole,” said Robert Horton, fire chief for Fire District 3. The new Educational Center is located at the fire district’s White City Campus at 8383 Agate Road, located about 2.5 miles from the RCC Table Rock Campus. The center will provide classroom space for the RCC fire science program and serve as a centralized location for affiliated fire and public safety organizations to host trainings. The building will include two classrooms that can be combined into one large meeting space, accommodating up to 150 occupants. The building also will provide workspace for RCC fire science instructors. 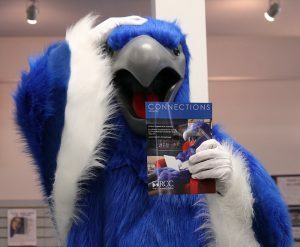 The college has allocated $500,000 from the RCC bond Measure 17-69, and an additional $500,000 has been allocated from the Fire District 3 Capital Project Fund. FD3 has donated the land where the building will be constructed. 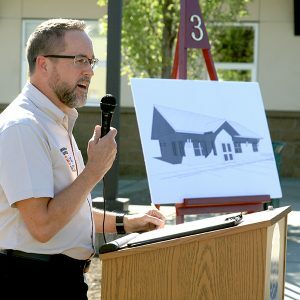 RCC Emergency Services department chair Gary Heigel speaks during the Aug. 27 groundbreaking ceremony for a $1 million joint project with Fire District 3 that will provide classroom space for RCC fire science classes.